I took time off from teaching when I had my children. My son is going to be 3 on Saturday (happy birthday Brennan!). Now, I am thankfully, very, very busy painting, so I don’t plan on going back to teaching until my space is finished and I can teach out of my own studio. My hope is to have a space in two years. I have already found a builder. I just need to get the show on the road! 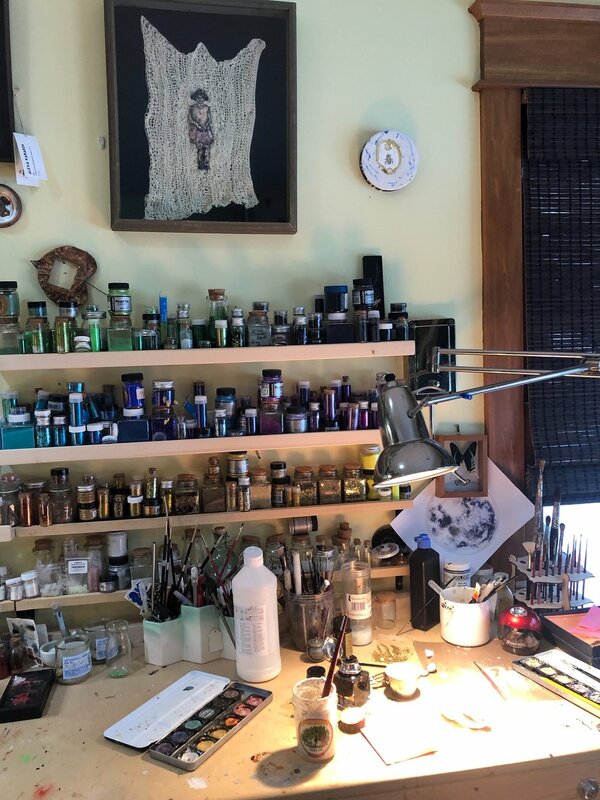 If you haven’t seen my studio in a while, it is because it is a huge mess. I don’t understand these artists’ profiles that are so pristine and perfect. I think they have professional photographers come over after they have cleaned out everything in their studios. It just doesn’t seem real to me. My studio is like a mad-scientists lab. There are things everywhere. No matter how hard I try to stay tidy, in the moment of creation, nothing else matters. Then night comes and I am too tired to clean up, just to make a mess the next day. My painting studio is tiny. It is less than 10’x10’. 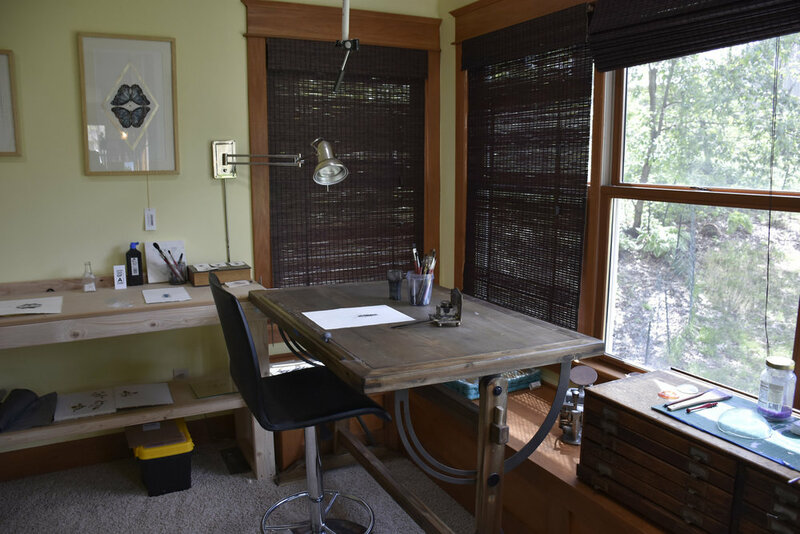 It consists of two drafting tables, two work benches, shelves, flat files, and stacks of things. There isn’t a lot of room to move around. I have a larger space in my basement that is dedicated to framing, packaging, and storage. I am saving my money right now to build a large space on my property, so I can take on more students and teach workshops. This will hopefully happen within the next two years. Artist/makers, do you have any cleaning /organizing tips? Originally posted in June 2017. 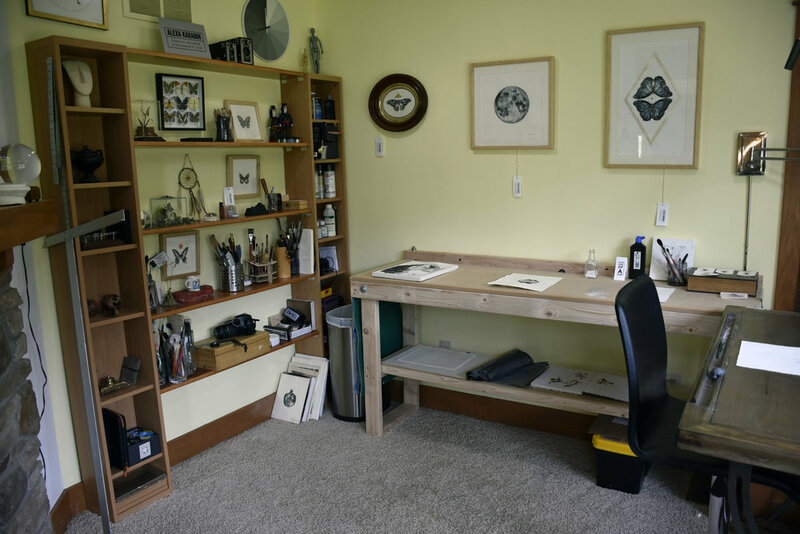 A few months ago I painted and re-organized part of my studio space. This is my "Clean Space", where I do my painting. My work space is actually located in five parts of my home. I also have an office, where I do all of my digital work and business. 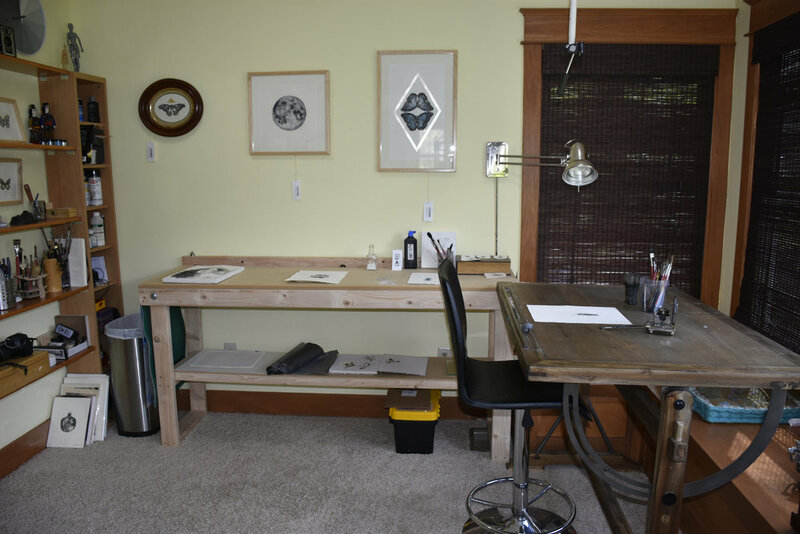 A dark room / print room, where I do all my photography and printmaking work. I have a room dedicated as a warehouse, where I store all my finished work. And a wood shop a.k.a. garage, where we do the framing. One day I will build a dedicated structure that will house all aspects of the business, and it is my dream to offer an apprenticeship program for artists.